If you live in Adams Shore, MA, chances are that you have heard of a nor’easter even if you have never experienced one. If you are familiar with these storms but haven’t lived through one, you may be even more nervous about what to expect from such an event. Here are some details to help you better understand nor’easters. A nor’easter will usually exist either 100 miles west or 100 miles east of the East Coast, so this is an event that really only occurs as a result of near proximity to the Atlantic Ocean. These storms usually begin when warm coastal air mixes with cold land air. If you are a homeowner in the Adams Shore, MA, area, you may be worried about nor’easters hitting and causing water damage. 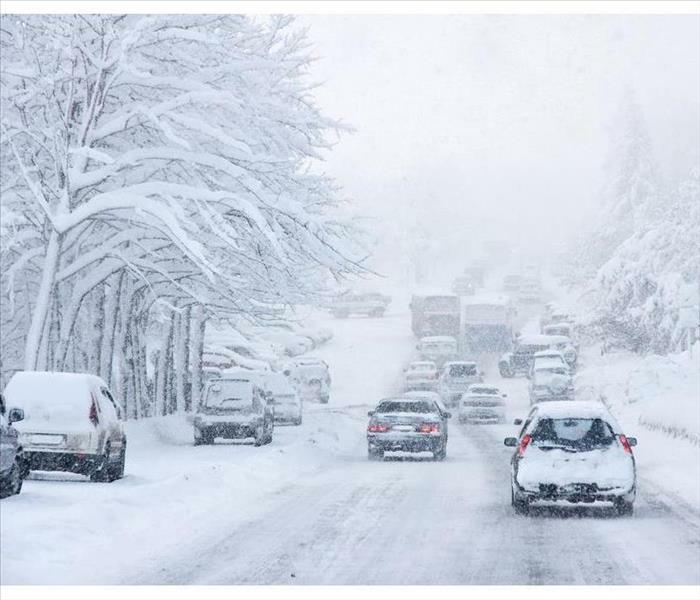 Since severe winds, heavy rains and massive snowfalls can lead to all kinds of damage and floods, you should be cautious if such a storm is approaching. Make sure that you stay off dangerous roads, stock necessities and wait for the okay from authorities before venturing out. If you are worried about flood damage, contact your local residential water damage restoration company after the nor’easter has settled for help in restoring your property. Have you ever had a fire in home or fire in business? If yes, you are aware that the recovery process can help fix the fire damage. The fire damage restoration reverses the commercial fire damage in the home or business premises to help the owners get back to their normal lives quickly. Despite these services varying from one company to another, most of them follow the essential pattern. Below is the usual process that will help you be ready in case of commercial fire damage at your business or home. Good companies offer emergency services. They respond fast when you contact them to provide immediate relief. Emergency contact is one of the most important features, and you should look for companies that offer that. You need a service of urgency to put out the fire. Despite the fact that you still need damage restoration services, the emergency contact will prevent the damage from spreading through the property. For example, if the fire in home or fire in business causes a hole in the house which causes leakages into the house thus ruining your property. The longer you do not attend to the leakages, the more damage. The second step in fire damage restoration. The company will assess the extent of the smoke smell, soot damage, smoke damage, and fire damage. It involves looking at how far the smoke smell, fire, soot damage and smoke damage affected the house. Also, they will check the smoke damages and soot damage on the walls and furniture. The step is necessary since you come up with the right plan of action if you understand the extent of the fire. It also helps the service provider determine the quote and the restoration time needed. The first thing about fire damage restoration is ensuring that the commercial fire damage does not get worse. For example, if you have a leakage due to the fire, that is the first thing the fire damage restoration company should address. 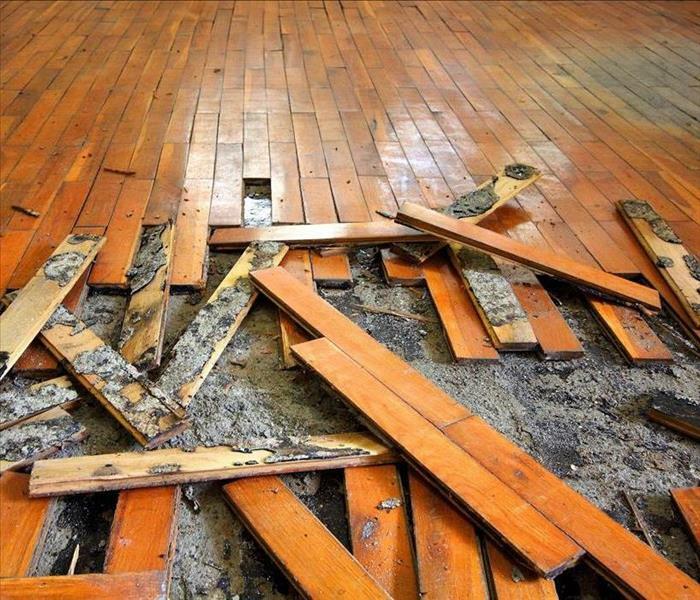 Commercial fire damage restoration goes together with water damage restoration. The reason for this is fire causes water losses, and restoration should be able to stop the source of the water immediately. This process involves cleaning up the smoke smell, soot damage, and dust from the walls and surfaces. After a fire in home or fire in business, the buildings mostly look dark, charred, and stained. The restoration services will do a fire cleanup to ensure they at least look healthy. They do the fire damage clean up with the help of water damage restoration. They will remove any standing water pools using pumps and other drying tools. Sanitizing is important to ensure that the water is not contaminated. During the fire cleanup process, the damage restoration services will ensure they have removed any smoke smell that resulted from the smoke damage and soot damage. It involves cleaning the carpet and addressing adjacent rooms that are affected. The fire cleanup part includes removal of badly damaged properties – those that you cannot repair. The process involves repairing damaged areas caused by a fire in home or fire in business. The objective of this process is to get your property back to normal and making them look as good as new. However, the best companies do more than this, they not only repair, but they renovate. Your property is left better than it did in the beginning. In conclusion, it is good to learn how to prevent commercial fire damage, soot damage and fire cleanup in the future. There are experts you can consult to find out more. This commercial property suffered from a water loss after a broken pipe. Commercial properties often have a continual cycle of people coming and going. These people, customers and employees, will use the restrooms, drinking fountains and other faucets. The constant use of these fixtures will likely put a strain on the plumbing system at some point, leading to a worn seal or broken pipe. While your supply lines are probably designed with commercial use in mind, there is no way of knowing the sustained abuse and use until you are in operation. Therefore, it is better to be aware of the common causes of commercial water damage, so you can perform appropriate maintenance schedules and hopefully avoid any potential catastrophes. Due to the increased flow of people through commercial facilities, restrooms will often experience a toilet overflow, which will likely result in minor flooding. For property managers hoping to avoid this common dilemma, you should have maintenance staff check the bathrooms throughout the day, during and after the hours of operation. When a building's plumbing is used frequently, or when the facility is older, leaks and breaks may happen often. While a broken pipe can be detrimental to business operations due to interruptions, leaks may be minuscule and go on for months without notice. Therefore, it becomes necessary to perform inspections throughout the year, preferably two to three times. However, most properties can suffice with one thorough annual inspection before or just after winter. Fire sprinklers can misfire, causing property damage. However, occasional water repair does not negate the system's usefulness. As with any other piece of equipment, frequent checks and tests can help to prevent most cases of unintentional activation. A plumbing specialist in the Montclair, MA, area can help you prepare for potential water disasters and assess your property for any possible weak points. These professionals can also guide you through the process of routine inspections and, when necessary, perform more thorough checks. While a broken pipe can lead to significant costs in repairs and recovery, it can be avoided in most instances with appropriate maintenance schedules. Most cases of water damage occur because of neglected inspections. Exposed: Does Your Liability Policy Always Protect You? Your commercial liability policy is designed to cover the costs of legal action taken against you when someone experiences negative effects from being on your property. Mold insurance claims have been increasingly difficult to get approved, however, especially when you are sued for exposure to fungus in your building. Certain exclusions may leave you vulnerable to out-of-pocket costs for mold liability. Just as the work of mold remediation specialists is not likely to be covered by your property policy unless the mold damage was a direct result of other covered issues, mold insurance claims under your liability policy are unlikely to be approved if you get sued for exposure to mold that was not a result of a covered problem. A mold claim is often seen by the insurance company as a sign of poor maintenance, shoddy mitigation or outright neglect. Because mold cannot grow without excess moisture, the question becomes whether that moisture problem could have been prevented or cleaned up more quickly. 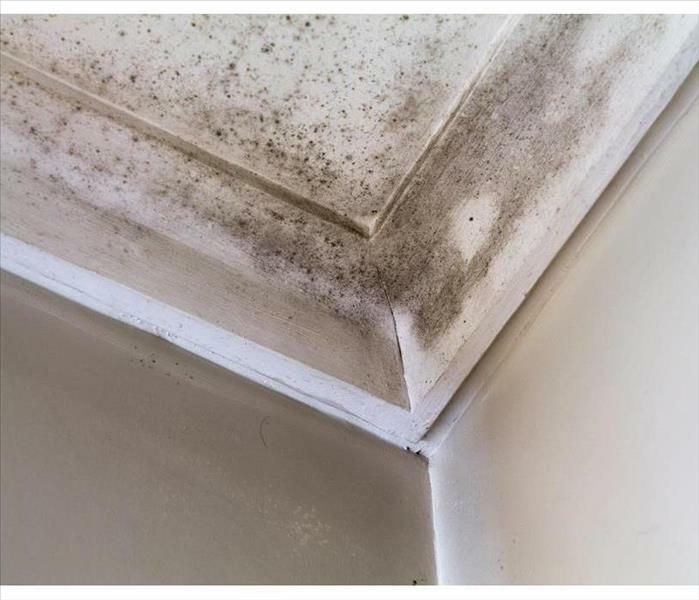 To get your insurance company to cover a mold problem, whether you are filing a claim for the cost of the cleanup itself or the legal ramifications of the problem’s existence, you will likely be expected to prove that it occurred despite your best efforts to prevent it. With these exclusions written into your liability policy, the burden of proof that your mold insurance claims are the exceptions becomes heavier. Any sign of prolonged deterioration is likely to work against you when you appeal for coverage. As an insurance agent, you know that keeping both your client and your supervisor happy is essential to running a successful business. That is why when a disaster strikes one of your clients in Adams Shore, MA, you are often one of the first phone calls they make. While your obligation to your clients is high, you also have a responsibility to save your office as much money as possible as you work through the insurance claim. Working with a company such as SERVPRO can help you satisfy both parties. Here are two ways that dealing with the company can help you stay on top. The CIC is a data management system set up by SERVPRO’s corporate office to help you keep track of all the necessary disaster data, cleanup information, and financial figures in each claim they handle for you. Not only is all claim data completely organized for you by the CIC, it can be a valuable resource for your clients, the contractor, and the home office. With a few clicks of a button, all interested parties can access up-to-date information on the claim. You can even use the system to send emails to keep your clients and the home office abreast of the latest developments in the insurance claim. Disasters don’t always wait to occur on Monday morning after you are settled into your office. Instead, they often happen in the middle of the night or on the weekend. With the 24-hour emergency response center, you and your clients can rest assured that their frantic calls will be answered by trained personnel at any hour. Once the call has been answered, the local remediation and repair specialists can meet with your clients and begin the process of restoring their property. SERVPRO can help your company stay on top by helping you organize an insurance claim as it comes in. They can also aid in keeping all parties up to date about the claim’s latest information, and that can keep everyone happy. Does Your Toilet Overflow When You Shower? The worst type of surprise occurs when you step out of a shower and place your newly cleaned foot into a pool of water from a toilet that overflowed. How could that happen? Not only must the water be cleaned from the floor, but you probably want to dry off and get dressed before dealing with the overflowing liquid or the professional service you may want to call for help dealing with the sewage cleaning problem. Why Did the Toilet Overflow? The sewage system that links your home to the Montclair, MA, main removal lines runs underground for many feet, and all your home’s plumbing pipes converge into a central location to flow into that main pipe and out to the street. So why would your shower water back up into the toilet? Here are a few of the many reasons a toilet overflow may occur. Any of these problems can cause the water to flow out the toilet instead of out to the city’s main sewage lines. Additionally, each probably requires a professional sewage cleaning solution. Your service professional will likely deal with the standing water first because the longer the liquid sits on the floor, the more damage it can do. Once the water is gone, he or she can figure out where the blockage is and begin to remove the obstruction in the clogged pipe. Water remediation specialists can then sanitize the area and check for any extensive water damage in your home. When dealing with a serious sewer pipe clog between the house and main line, care should be taken. Calling in a service professional is always a good idea rather than attempting sewage cleaning on your own. Removing the clog in the line may be a quick fix, and the professional can save you time and money. Mold Damage in a Downtown Quincy home. Did you know that flooding is the leading natural disaster in the United States? Even as your building dries out, the impact of a flood doesn’t disappear as quickly. Furniture, appliances and the structure itself can be infected by mold growth in standing water. First and foremost, you have to get the water out of your commercial property. If there is lots of water, you should get professional help for this. Once you’ve removed the water, it’s time to focus on the interior of the building. You’ll want to remove the wallboard material and flooring that was below the waterline. Take out anything that was too damaged by floodwaters. If you need assistance in removal, there are professional restoration services that can help you through the process. The next step is to take care of the cleaning. Mold growth is no laughing matter. You need to make sure that you get as much of the loose debris out of the building as possible. You can also use mild detergents and water to help clean the surfaces. If you spot any mold after you’ve already cleaned, then you may need to clean multiple times or contact a specialist. If you don’t want more mold to grow, then make sure that the building and furnishings are dried out within 24 to 48 hours. It only takes mold that long to grow. Bacteria will grow best in warm, moist areas. It’s important that you don’t let your property become a breeding ground for it even after the flood has receded. At the end of the day, floods can be dangerous in Quincy, MA. Once a flood occurs, mold grows quickly. So, if you had water in your building for at least a day, then odds are you already have mold growth. It’s best to try to stop it before it starts, but at the very least, make sure that you do a proper cleanup afterwards. Mold Remediation: Are You Covered? Having a mold problem in your home in Montclair, MA, is a big enough problem on its own, but what happens if you don't own the property? If you rent your home, your rental insurance may cover mold remediation. Problems with the structure itself often fall under the responsibility of the building manager or owner, but there are several factors that help determine which party should file a claim or shell out the money to fix it. If a problem with the building causes mold damage to the building, it is usually the owner's responsibility unless the building manager can prove that the damage is the direct result of your negligence. If that can be proven, your rental insurance may cover it professional mold remediation under the circumstances outlined in your policy. The key to determining whether mold removal is covered by your policy will likely be the good faith effort you or the building maintenance crew made to take care of it in a timely manner. If, for example, you reported a water leak under your bathroom sink as soon as you noticed it, any items that were damaged by the leak will probably be covered by your policy. If, however, you ignored the dripping sound and didn't report the leak until it had completely rotted the cabinet underneath, causing invasive mold damage, you may have to pay for the repairs out of pocket and replace all the items you lost yourself. Your rental insurance is designed to protect your personal property even when you may not have control over the maintenance of the building where you live. As long as you meet the requirements of your policy, mold remediation may be covered. When disaster strikes, rebuilding can be a daunting task. 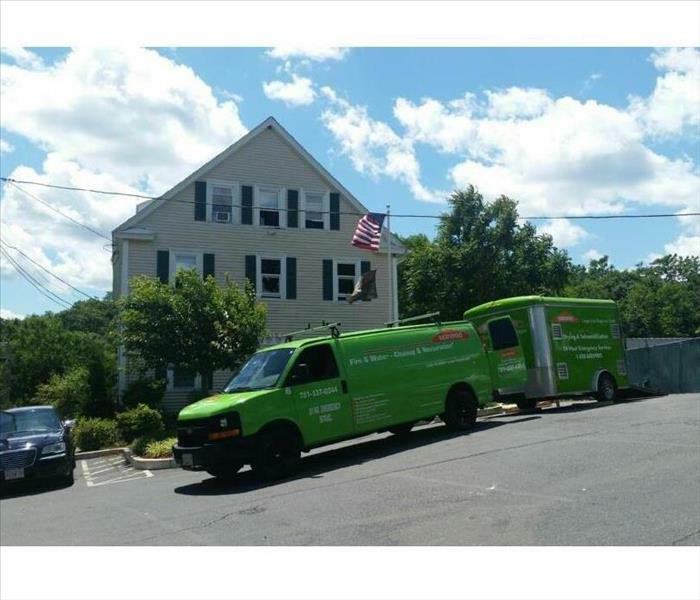 If a storm has caused catastrophic loss in Quincy, MA, SERVPRO is a great company to depend on. Here are a few reasons why you should rely on them during a large-scale emergency. If there has been flooding and there is a lot of damage that needs to be repaired, SERVPRO can call on locations across the country to assist in rebuilding and restoration work. This can cut down on repair times and prevent the damage from spreading or getting worse. With over 1,700 locations nationwide, there will always be help available. When there has been a catastrophic loss, waiting is not an option. SERVPRO is available 24 hours a day so you can always get the assistance that you need. They can be on the site quickly to begin the restoration process right away. During a crisis, especially if there has been catastrophic loss, you want to begin restoration as soon as possible. While getting the work done quickly is important, you also want to make sure it is done correctly. Using a reliable company with competent workers is a must. SERVPRO uses highly-trained and experienced professionals to do all repairs, so you know you can trust them to do the job well. Starting and finishing the restoration process as quickly as possible is important when there has been a lot of storm damage that has affected a large area. You want residents to be able to return to their normal lives as soon as they can. When you choose an emergency restoration company like SERVPRO that takes pride in their ability to do good work in a timely manner, you can feel confident that you are making the right choice. You've Found Mold, Now What? If you've found what you believe to be mold in your home, it can be a scary sight. Before you panic, it's important to know and understand what this microbial growth actually is and what needs to be done to complete the mold cleanup. This article will address the basics of diagnosing the issue, and what must be done if you are encountering these problems. with cleaning products you can get from any store. Mold cleanup becomes necessary when the infestation of mildew goes untreated. The latter of these unpleasant conditions are a result of fungus from excess moisture and require an Environmental Hygienist to diagnose and treat the problem. This is a biologically driven problem, which involves many factors that must be taken into account to determine a reasonable course of action. Severe cases can even involve governmental agencies needing to become involved, and subjecting the residents to action taken against them for failing to comply with local or state regulations, and even determination of their property as being "uninhabitable." Untreated, people will find themselves being subjected to an entire host of problems that can be caused by failing to complete mold cleanup. A good place to start is by ensuring that there are no conditions where excess moisture exists. This can be as simple as making sure the bathrooms don't have any leaks in the plumbing, to making sure the basement doesn't have any unnecessary and excess moisture, to making sure you don't have any damp clothes around the house. If after taking the initial precautions and there's still a concern that doesn't appear to be mildew, contacting an Environmental Hygienist in Quincy, MA to diagnose and treat the problem is in order. information regarding, that only a licensed professional should even attempt this type of work. If you even suspect there is an issue in your home of any type of microbial growth, addressing it immediately and calling a qualified professional is of critical importance. The damage will multiply over time and subject you and your family to some rather serious risks. If these issues are affecting you and your family, contact a MA licensed professional who can help. Time is a critical factor, as the longer one waits, the more they will find themselves having to spend to remedy the problem. Take precautionary measures to reduce the chance of exposure, and ultimately damage to your home. Don't risk it, call for an evaluation today! 4/23/2019 - What is a Nor'easter? 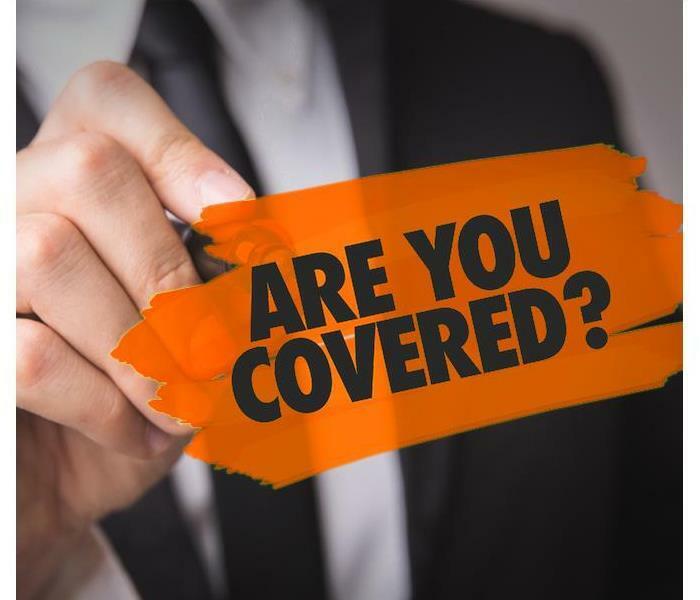 4/10/2019 - Exposed: Does Your Liability Policy Always Protect You? 3/18/2019 - Does Your Toilet Overflow When You Shower? 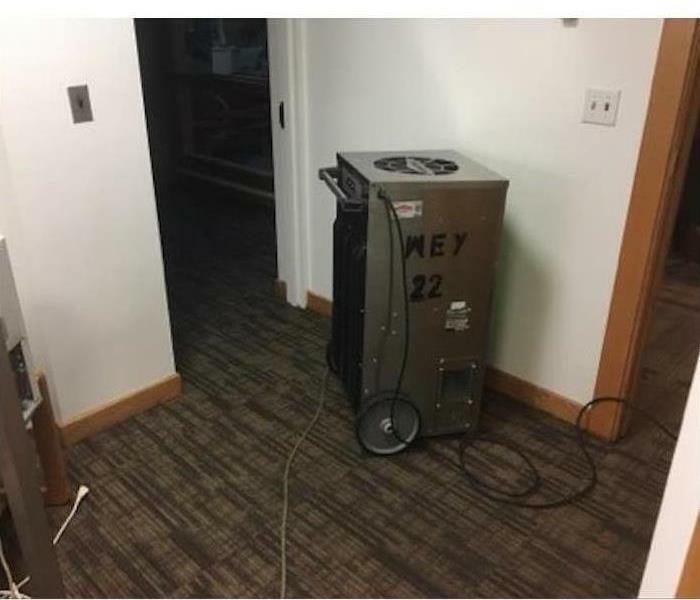 3/4/2019 - Mold Remediation: Are You Covered? 2/13/2019 - You've Found Mold, Now What?